We are a full service small animal dog and cat veterinary hospital in Rowlett Texas (Rockwall County), a suburb of the Dallas/Fort Worth metroplex. Our hospital is located at 9501 Lakeview Parkway (Highway 66) just east of Dalrock Road across from Lake Pointe Medical Center. 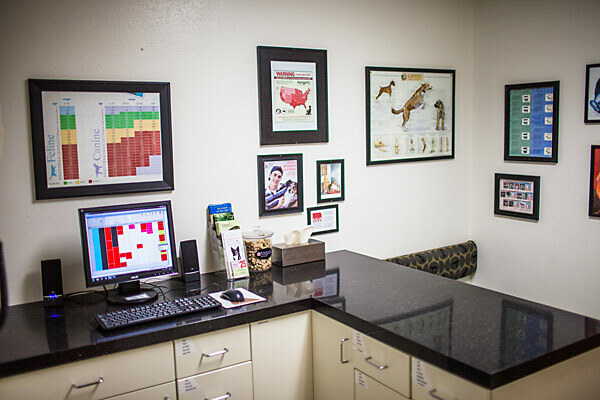 Our veterinarians proudly provide veterinary medical services to pets residing in the Rowlett, Garland, Rockwall, Heath, East Dallas, Mesquite, Forney, Royse City and surrounding communities. 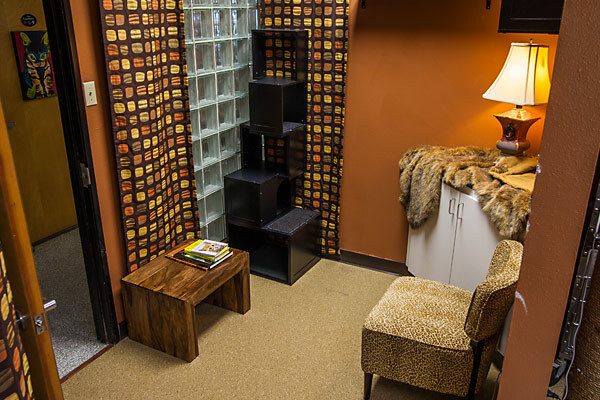 We also provide pet grooming and dog and cat boarding in our pet hotel. We are Certified by the American Animal Hospital Association. Did You Know Your Veterinarian is a Board Certified Specialist? Chances are your animal's doctor might never tell you, but you would want to know: your veterinarian is one a very small group of doctors who have earned the title "Diplomate" from the American Board of Veterinary Practitioners (ABVP). In fact, your veterinarian is one of only 900 ABVP Diplomates in the United States and abroad. It means your veterinarian made the choice to undergo a very long, very difficult process of additional studies and examination to become a board certified specialist. This process can take up to six years to complete. The process, however, does not end at certification. ABVP Diplomates are required to rectify every 10 years - something most other specialty groups do not require. In the end, the motivation behind achieving Diplomate status is, very simply, excellence. ABVP Diplomates have proven knowledge and expertise above and beyond what is required to practice veterinary medicine. Beyond that, they have earned the privilege to specialize in the treatment of one or more categories of animals. You can rest easy knowing your animals are receiving expert treatment because your veterinarian feels a strong commitment to providing the best possible care available. Thank you for entrusting your pet's care to us! The staff at Animal Hospital of Rowlett is our greatest asset. Everyone at our hospital is dedicated to helping pet owners understand their pets and learn about preventive health care maintenance. All our staff are pet owners, pet lovers, and are dedicated to providing an exceptional experience for you and your pet. Continual training and weekly staff meetings keep the staff focused on client service, updates in medicine and diagnostics, and new products. The staff is continually challenging themselves and other team members to improve daily procedures, quality of care, record keeping, and devotion to animal comfort and well-being. Christen receives inspiration from art, music, and good company and is, in fact, quite an accomplished singer. She loves sushi, the sound of the acoustic guitar and wishes she knew how to snowboard. Christen obtained her Bachelor's degree in Communication from University of Oklahoma with minors in Criminology and Sociology. When not at work, Christen can be found traveling with her husband Bret, her toddler Liam or walking her dog Bo, her coonhound/golden mix. 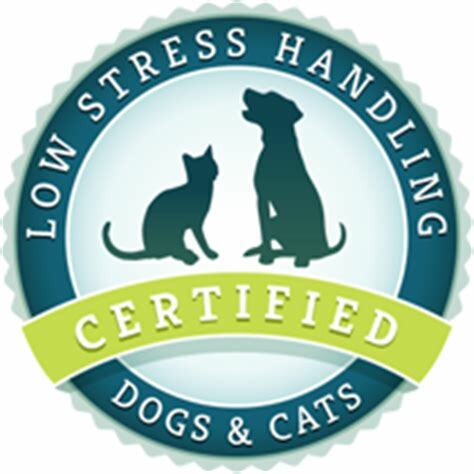 Christen is a Silver Level Certified Low Stress Handler and a member of VHMA. She enjoys attending continuing education courses offered by AAHA, AAFP and other distinguished veterinary associations. Victoria has 9 cats and would love to have a dog. Her cats are Lily, Violet, Binx, Oscar, Mimzy, Yuki, Kiki, Mortomer, and Oliver. Her favorite movie is The 5th Element and Dracula. Her favorite color is neon green and she can be found listening Evanessance. On the weekends, she sleeps and on her nightstand you can find a chandelier lamp and 4 books. She attended University of Texas at Dallas and obtained a Bachelor's in Literary Studies. She has been with us since December 2016. Meleah has worked in veterinary medicine for two years. She attended UT Tyler and began a major in journalism that she would one day like to complete. Her favorite noise is the sound of her baby laughing and she loved the book "Yes Please" by Amy Poehler - one of her favorite comedians. Her fridge is full of leftovers because she has a hubby that likes to cook and makes way more food than 2 people need! Meleah's favorite Sesame Street character is Snuffaluffagus and her first pet was J.R, a Papillon. Her car radio is always tuned to 105.3 because she is a huge Rangers baseball fan and her husband loves the Cowboys. She would love to travel to Greece or Ireland and her favorite Friends character is Phoebe. Meleah has been with us since 2015. Cassey has worked in veterinary medicine for 1.5 years and lists parvo among one of the most difficult cases to treat. Her favorite smell is sweets baking and hates the smell of vinegar. Her first pet as a child was named Dryphus and Duncan was her first pet with her husband. Cassey has 3 kids, so naturally her car is usually on kid's music. She wants to travel to Portugal and her favorite Friends character was Rachel. Mexican food and sweets are the way to Cassey's heart, along with allowing her time to crochet and sew. Cassey is a silver level low stress handler. She has been with us since 2015. Andrea has not worked in the veterinary medicine field for very long but she loves it so far. If she weren’t in the veterinary field she would be an archaeologist. Andrea is a Silver Level Low Stress Handler. Andrea counts among her favorite moments the day she met her husband and counts sushi as one of her favorite foods. When not playing gold or hiking, you might find Andrea dreaming of one day climbing Mt. Everest. Taryn has a Newfoundland/Rottie Mix and 2 cats. Her favorite movies are Disney movies and her most recent favorite is Finding Dory. She can be found eating Chinese food or hanging out with her neighbors. Taryn is from Plano Texas, but likes the Oregon Ducks! Her favorite color is yellow and she loves Sunflowers. She enjoys walking by the lake with her dog. Taryn has been with us since 2017. Macie is the proud owner of a bulldog, goldendoodle, and lab. She also loves cats and hedgehogs. Her favorite movie is Finding Nemo and her favorite TV show is Shameless. If she could were on Friends, she would be Phoebe. Macie's favorite flower is a Sunflower and her favorite color is yellow. She has 6 dogs and 4 cats! Macie is in college to become a child psychologist. She has been with us since 2017. Stephanie is the proud owner of an adorable pug and she has two beautiful little girls. Stephanie is happily married and enjoys CrossFit with her husband regularily. 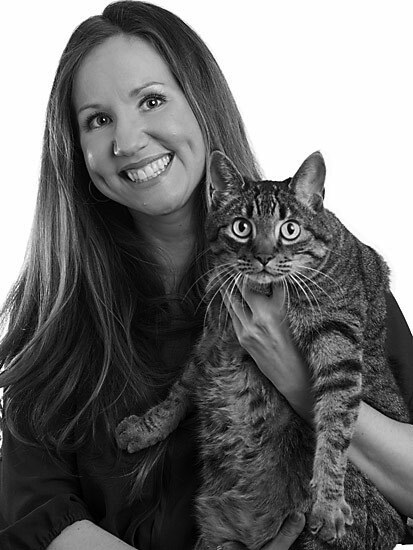 Stephanie previously worked for another AAHA accredited clinic and knows the importance of AAHA standards in a veterinary practice. Stephanie has been with us since 2017. 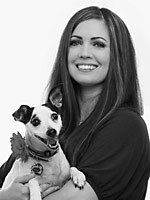 Brittany is certified as a Low Stress Handler Silver and has been with us since April 2012. Dorothy is a Fear Free Certified Professional. When not watching her favorite NFL team, the Cleveland Browns, you might find Dorothy enjoying a meal at her favorite restaurant, Cafe Istanbul. She loves Singapura cats, the smell of carnations, creme brulee, and the novels of Isaac Asimov but can't stand the smell of cigarettes and is saddened when she has to treat dogs with parvovirus. Her first pet was named Richelle. Dorothy obtained her RVT degree from Texas State Technical Institute in Waco. Dorothy has been with us since 1999. Catie is our surgical nurse who makes sure your pet is safe while they are under anesthesia for dental cleanings, surgeries and sedate to grooms. Catie graduated with her veterinary technician degree from Cedar Valley. Catie is the mother to her human child, Evie, as well as her fur children Koda and Sookie! She recently got a german shorthair pointer puppy from California! Catie has been with us since 2013! 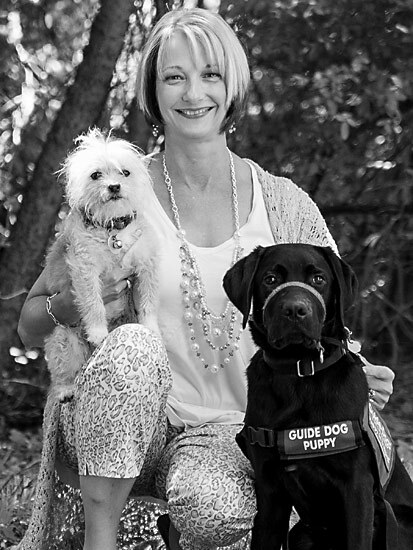 Mary has worked in veterinary medicine for 25 years. Her ears perk up when she hears the word lunch and she love the sound of leaves rustling in the wind and the smell of fresh gardenias. She would love to go to culinary school if she weren't in veterinary medicine and would never want to be a lawyer. Mary last read At The Water's Edge and her favorite author is Jodi Piccult. She loved the movie American Sniper, but hated Snakes On A Plane. She loves to read and do jig-saw puzzles. Mary has been with us since 2015. Zak is a native Dallasite who includes Cesar Milan and Bob Marley among his heroes. He dreams of one day going to Alaska but can often be found vacationing in Port Aransas, Texas. He loves drawing and playing video games and calls German Shepherd his favorite dog breed. Zak began in our Pet Hotel and then moved into the nursing area after a few years. He has worked alongside the licensed technicians as an assistant and recently moved into a nursing role. Zak has been with us since 2013. Taylor has 3 dogs - a foster who is a Rottie mix, a border collie mix and a beagle. Her favorite breed is a german shephard. If she could travel anywhere in the world she would go to Japan. Prior to working for a vet office, Taylor was a dog walker and a sushi chef. Her favorite movie is Beauty and the Beast and she enjoys spending her free time volunteering for DFW Rescue Me. Taylor is going to begin training in the nursing/ERA area and plans to attend school to become a veterinary technician. Taylor has been with us since 2017. 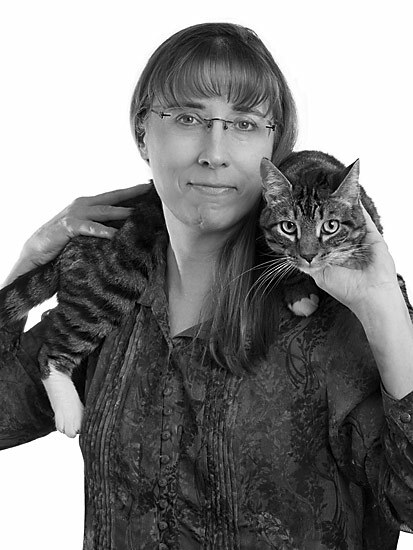 Kerri has been grooming animals for more than 25 years, mostly in the Collin County area, but we are happy to now have her here at AHR. Keri is married with 4 children, and has 2 dogs (a Shih Tzu and a Great Pyrenese). She enjoys spending time with her grandkids and loves to be outdoors. 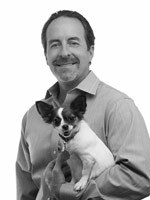 "I look forward to meeting clients and giving their dogs and cats the best groom they've ever had." Kerri has been with us since December 2010. Jessica loves the smell of Magnolia blossoms and hates the smell of baby powder and Lysol. When she stands before God at the end of her life, she hopes that she would not have a single bit of talent left and could say "I used everything you gave me". Her first pet, Verde, was a green parakeet that would play with her in the sandbox. She is afraid of monkeys and would love to travel anywhere tropical, including her favorite vacation spot, Port Aransas. She loves Italian food, Miranda Lambert, and the Texas Rangers. Her hobbies include hunting, fishing, creating jewelry and DIY Pinterest projects. She loves Golden and Labrador Retrievers and wishes she knew how to whistle. When Karla is not taking care of animals in our pet hotel and doggie daycare, she can be found baking or taking amazing pictures with her professional photography camera. Karla is still deciding which passion will take her to the next level, but is considering veterinary technician school in the future. Karla has been with us since 2017. Bryanna has three pit bull/lab mixes and a fish! She was born in Philly and raised in Texas. When not working at AHR, she can be found watching Pulp Fiction or cooking! Her favorite meals to cook are Italian and whatever looks good on food network. Bryanna (Bry) has been with us since 2017! Gloria has two beautiful children and when not working in the pet hotel and doggie daycare, she can be found running around outside with them! She has lived in Colorado prior to moving back to Texas when her husband was in the military. Gloria has been with us since 2017. Bio coming soon! Katie has been with us since 2017! Cody has been with us since 2017! Must have experience in a client service/reception position. Veterinary experience is not required, but is a bonus. A CSR is not "just a receptionist". You are the gateway to our practice, the first person a client speaks to on the phone, the first person they see when they arrive and the last person they see on the way out. Our CSRs are invaluable and having a friendly personality, being able to multi-task, having an excellent memory and possessing the ability to remain poised under pressure are essential job duties. You must always have a smile, always come in uniform, and always be prepared to help our clients in any way necessary. We expect a lot from our reception staff. They must have veterinary medical knowledge and learn quickly--as reading medical records, learning vaccine schedules and being able to assess an emergency is vital. Please read the job description for the reception position to determine if you think you meet the qualifications. Must have experience as a veterinary technician at a previous veterinary practice (preferably small animal). Veterinary experience is required for this position. We do not train our nurses the basic veterinary technician skills such as blood draws, catheter placement, anesthetic monitoring, etc. We do require that anyone hiring for this position do a working interview to show us that these skills are in place. We do train how WE monitor anesthesia, how WE read records, how WE fill medications. We follow AAHA guidelines for canine vaccines and AAFP guidelines for feline vaccines (we suggest you read up on these protocols prior to your interview!). We do require our technicians to test "out" of certain tasks before you are authorized to perform them--for example, you may have monitored anesthesia for 20 years, but we will train you on how WE monitor anesthesia, you will take a written test and will assist with a "practical" before we ever schedule you to monitor anesthesia alone. This is ultimately for the safety of our patients, but also our way of ensuring you are comfortable with a task before being asked to do it. While we don't train what we deem "Basic Tasks" of a nurse, we do spend a lot of time "teaching". You will have CE courses, the doctors will show you things and help you to gain a better knowledge of why things are done. Client communication is key and we expect our nurses to educate our clients on important topics, such as vaccine protocols, heartworm testing and prevention, labwork/senior labwork, chronic drug monitoring, and intestinal parasite testing. We are always seeking talented, experienced and dedicated individuals to join our nursing team. Nurse assistants must have detail oriented personalities that allow them to anticipate the needs of the nurse and follow through with tasks. Veterinary experience is not required for this position, although it is often filled with individuals who have interest in going to school to become a registered veterinary technician. This position helps you determine if this career path is something that you are truly interested in and allows you to pick up terminology and pharmaceutical items that will help you succeed in the program. The nurse assistant position is mostly comprised of learning proper restraint skills, learning how to set up and break down surgical and dental areas, and learning the importance of cleaning and disinfecting all areas of a veterinary hospital. Our nurse assistants are expected to be professional, helpful and friendly. They must take direction well from co-workers, as their job is to assist the nurses with any tasks needed. While nurse assistants do not have significant client contact, they are often expected to help out at the front desk or in boarding discharges, which means client communication must be great. Kennel assistants must have a love of animals and not be timid around cats or large dogs. No experience is necessary for our kennel assistant position. It is a "gateway" position into veterinary medicine and many of us started in this area. 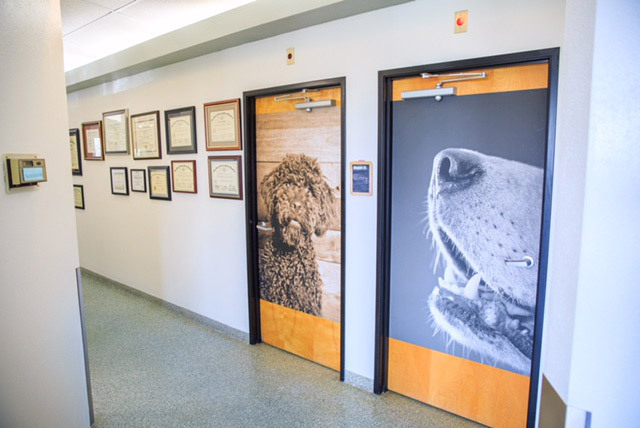 The kennel is a great way to gain knowledge of veterinary medicine and have hands on experience with the pets, without having prior experience. Kennel assistants must still be outgoing and comfortable speaking to clients, as you do still have contact with them at the drop off and discharge of their pets to the Pet Hotel. We always want clients to feel comfortable leaving their animals with us, as this can be stressful for both the client and patient. The kennel assistant role is very important. Animals must be monitored closely for changes in behavior, eating/drinking, bathroom habits, etc and doctors must be notified quickly if/when any changes occur. 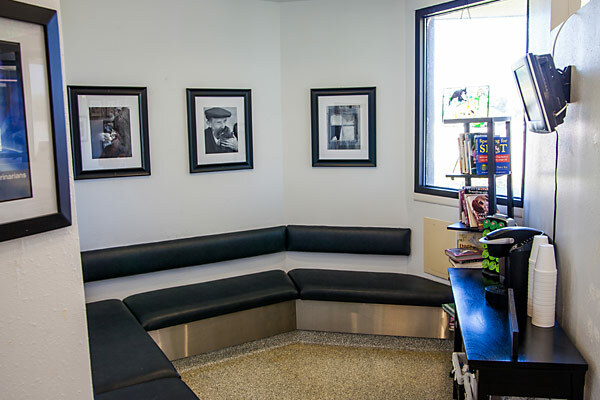 The animals will develop relationships with the kennel staff and this helps them to be more comfortable when coming to have an extended stay at our clinic. You truly "must love pets" to work this closely with them. Kennel assistants must be available to work weekends and holidays, as these are the busiest times for the Pet Hotel. 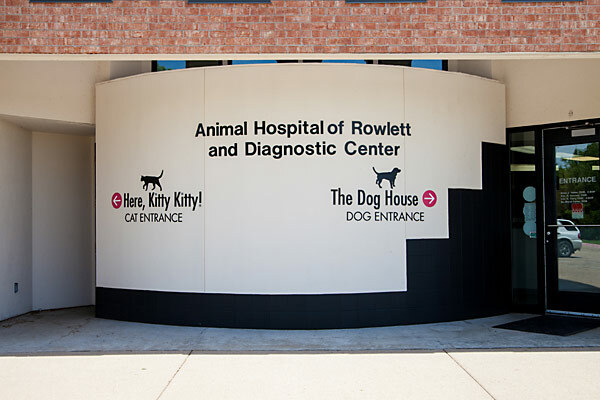 Although Animal Hospital of Rowlett is not always actively hiring, we are always accepting applications. We will go through existing applications prior to posting any position openings on job boards. We hope that you will take the time to come tour our facility, meet our staff, and see how we work together. I think that you will find that AHR is a warm and welcoming place to work, full of individuals who work as a team for a common goal....happy, healthy pets (and clients!). Continual training and monthly staff meetings keep the staff focused on client service, updates in medicine and diagnostics, and new products. 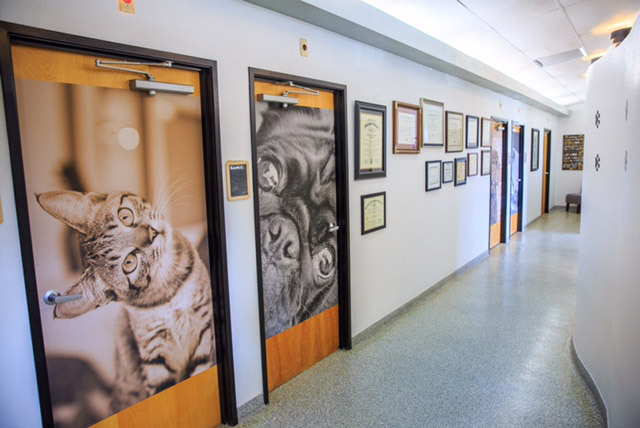 The staff is continually challenging themselves and other team members to improve daily procedures, quality of care, record keeping, and devotion to animal comfort and well-being. We are always looking for exceptional reception staff, terrific technicians, technician assistants and phenomenal kennel assistants. Although it does take someone who loves animals to work at a veterinary office, you must also love working with people and putting the client first. Please see below for requirements on each position. If you are interested, please fill out the application and/or come to the clinic to fill out an application packet. We have a binder with written job descriptions for all positions that we encourage you to look over. Sit down, stay a while, meet the staff and find out why Animal Hospital of Rowlett is an amazing employment opportunity.